ROCKAFANTAZIA | A Fabulous unique international music spoof tribute show that celebrates the decades of the best musicals of our time. Rockafantazia has now found a fantastic home, tucked under the wing of SET Theatre! Rockafantazia is now located in the beautiful historical street St Sauveur in Le Vieux Cannet, Cannes….just 10 mins to the Palais des Festival and Croissette in Cannes and only 10 mins to the autoroute. The marvellous Studio Theatre, within the Arts Centre ( Centre des Arts Culturels) has perfect Activity Space for our rehearsals and creative development. 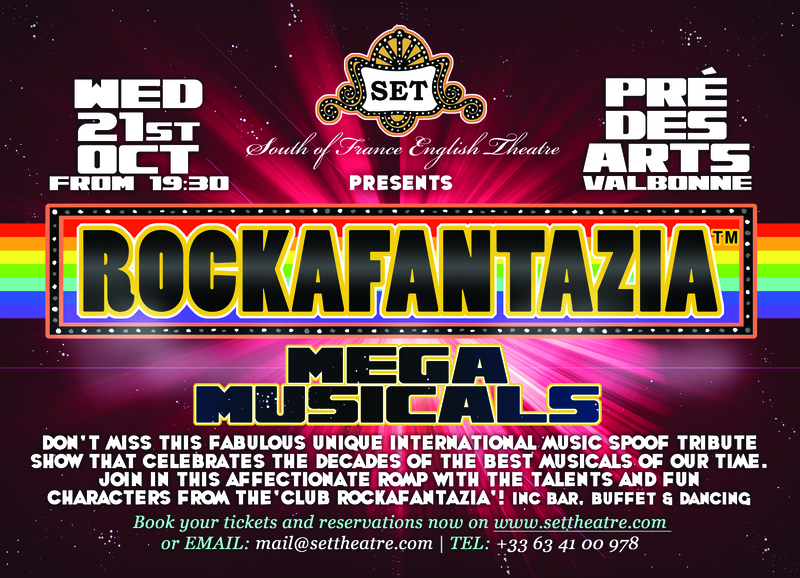 Don’t MISS updates and details of planned ROCKAFANTAZIA productions to be held at SET Threatre. 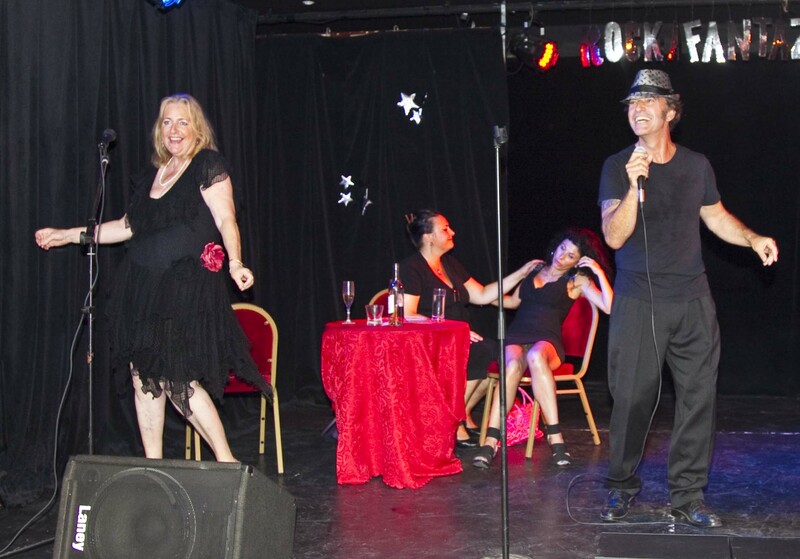 Become a member of SET Theatre and enjoy VIP membership benefits. Fill out the contact form TODAY, click here or hop over to SET Theatre. Don’t miss our comeback show in Valboone on the 21st of October 2015! Book your tickets now! See you there! ROCKAFANTAZIA IS BACK! DON’T MISS THE BIG COMEBACK SHOW ON THE 21ST OF OCTOBER! The ROCKAFANTAZIA corporate website will be coming soon. ROCKAFANTAZIA has a new act! 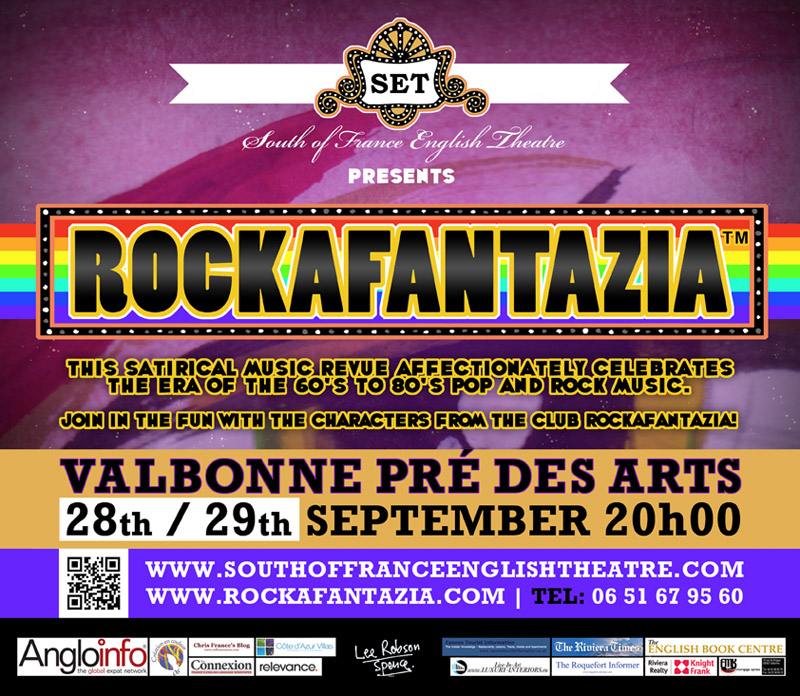 Today Lizzie La Lewis will join Club ROCKAFANTAZIA for rehearsals for our family fun open air gig at Valbonne’s church next Friday. How exciting! Good luck to Lizzie and all the best to the rest of the cast – see you on the 31st!